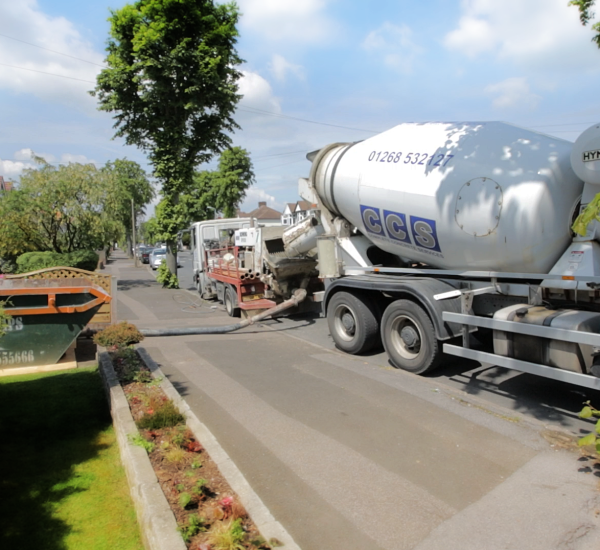 CCS are your local Essex ready mix concrete services company that prides itself on fast delivery, customer service and the best prices around. We have been leading suppliers of ready mixed concrete covering Essex and East London for over 20 years. CCS has invested in its own concrete pumping equipment, this enables us to deliver to the most unreachable areas that a standard concrete lorry cannot. Just call our friendly staff and we will arrange deliver. We can give measurements and quotes over the phone or you could fill in our contact form to get a written quote. CCS are a leading supplier of screed to the housing and construction market across Essex. You will need 0 cubic meters of concrete. Out of hours deliveries can be arranged upon request.